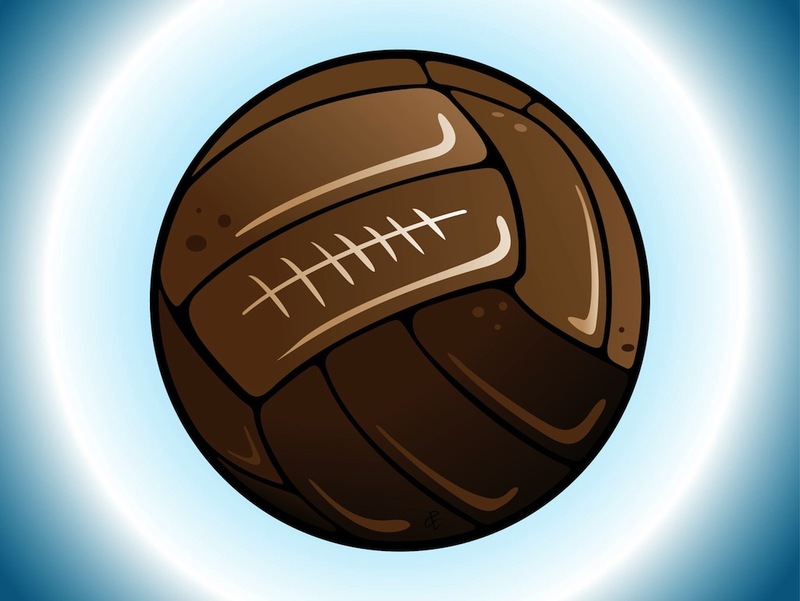 Sports vector design with an old and dirty football. Illustrator image of the sports gear with stitches and spots. Dark color of the aged leather material. Free vector design to create sports, football, soccer, game, hobby and training visuals. Download old ball for icons, logos, stickers and clothing prints. Tags: Aged, Ball, Game, Leather, Match, Play, Soccer, Sport.